About 9% of domestic violence cases in the U.S. are charged to juvenile offenders. That’s one juvenile offender for every 11 adult offense cases. If your child have been charged with domestic violence, are under the age of 18, and are looking for an attorney, starting your search with Robert A. Dodell Attorney At Law is the best idea. the right to a court appointed attorney under certain circumstances, if the person cannot afford to hire one. As a result of not being read or having understood the Miranda Rights, whatever an individual says while in police custody may not be used against them in court proceedings. Furthermore, if that individual’s statements result in evidence being collected, the State may not be able to use that evidence in court. How does the Miranda Rights apply to minors? The Miranda Rights must be read in a similar manner that the accused should understand. Additionally the officer must advance the right to have a parent present during the questioning. A juvenile must be questioned by police only if they understood these rights when they are read to them. As a parent or legal guardian, you will also be notified that your child is in custody for the alleged offense. However, the child can agree to talk to the police without parents or an attorney present. But after all these, what do you do? How Robert Dodell Can Help! As a parent, you’d want your child to have a bright future. It’s normal to want to keep their juvenile record clean. For the sake of their mental and psychological health, you’d also want to keep them from facing possible time in a juvenile facility. Contact Robert A. Dodell, Attorney at Law, for an experienced lawyer in the areas of juvenile delinquencies and criminal law. Pre-trial discussions may be in place to settle matters informally. Instead of facing trial, your child may just have to be put in some type of diversion or rehabilitation program. Robert Dodell can help set up the written conditions that your child would have to follow after admission of the charges. Your child’s case could be dismissed if they could follow these requirements. While a juvenile could not be convicted, they could be considered an “adjudicated delinquent.” There is also a chance that your child could be tried as an adult instead of a juvenile. Being tried in criminal court is a life-changing experience that threatens your child’s freedom and future. Hiring an experienced juvenile delinquency and criminal defense lawyer is the first line of defense. Robert A. Dodell, Attorney At Law, knows that you and your child have rights and would protect them the best way he knows how: by providing great juvenile defense assistance. Is Threatening Someone a Crime in Arizona? 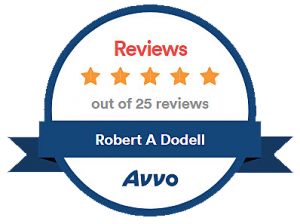 Why Choose Robert Dodell as your Attorney for a Domestic Violence Case?